Tis the season for predictions. If one has an audience one seem compelled to make predictions. You are better off reading the book Superforecasting than this article. The book explains in depth the simplest elements you need in making predictions and forecast. What percentage of tweets are retweeted? What percentage of people are named Bill? What percentage of startups achieve $1B valuation? What are the chances of you winning Survivor when you start the season with 19 others? The next step is an iterative process that refined this prior knowledge by seeking new information and refining your estimate. 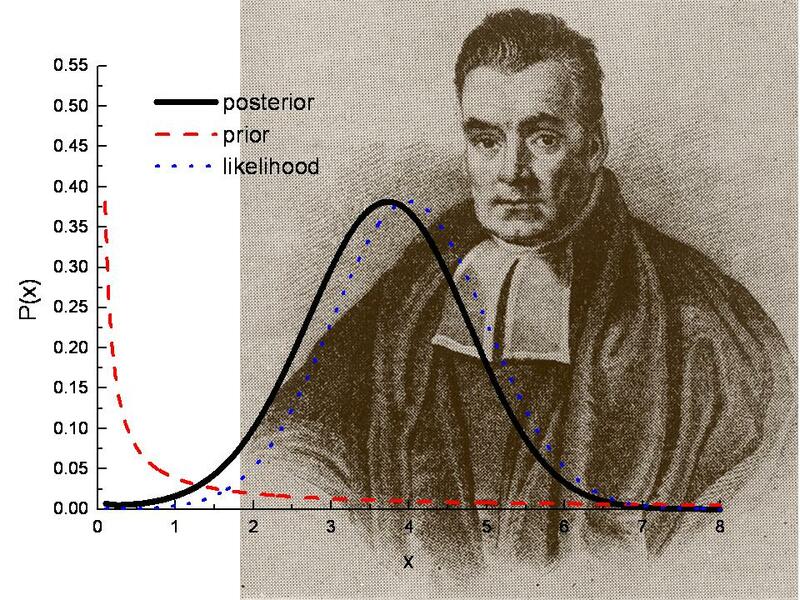 That is the posterior probability. Most likely you won’t read the book, so I present here these two concepts set to the tune of Megan Trainor’s song. How many times have you heard the phrase thrown at you by anyone and their guru? No I am not asking you to keep a measure (count) of that. Whether it was a consulting firm or someone doing time and motion study that popularized it, I don’t know its origins. This statement has become a standard quip by someone, usually someone in power and position with nice title, trying to sound data driven. What that has led to is a world where we collect anything and everything that moves – from measuring sleep pattern with wearable fitness device to up to the minute update of sales pipeline. We now have a new product positioning for this craze – Fitbit for xyz, named after the wearable pedometer that tracks the number of steps you take and the number of minutes you stay restless in your sleep. With a gauge for everything, collecting data all the time, the craziness has led to utter madness – Big Data. Can I change what I seek to measure? Even if I can change, can I change it at the same cadence I seek to measure it? If I can change, fast enough, will the change have meaningful impact on the true measures of business performance? Sure you can change the number of retweets, blog mentions, video views, “how likely to recommend on 0 to 10”, etc., but does it matter to revenue, marketing ROI, pricing effectiveness and profit? Can I measure it cheaper than the effect of change? Even if the answer is yes to the questions above you need to ask – what other metric I could be collecting with my limited resources? What do you measure? I hope the answer is, “I measure what I can change to make meaningful positive impact on my business objectives”. What you can’t change, don’t measure. Here is data posted at local YMCA for 30 top performers for the month of August. The images show total weights lifted by top 30 performers in men’s and women’s category. Do you think you can compare these two sets of data and go on to make generalized statement about men or women’s strengths? First this is data from only those who chose to go to YMCA to lift weights and chose to have their results recorded. Second these are top 30 people, the right tail. You can’t compare extremes and say generalized statement about population. For that you have to compare means. How many such measurements errors do we commit when comparing effect of marketing campaigns and sales programs? You are smart but can you make money? Not to mention finding correlation is not an indication of causation. Well it still does not answer the original question we face but at least we can try to explain how only 4% of income variation can be explained by changes in intelligence. One more thing, next time you hear advice on “hard work, do your best, etc.” think of this statistic. There is more to getting ahead than just intelligence. Here are three articles this week that use or quote statistics wisely. Connection between women wearing red and fertility: Slate asks the right questions on representative bias and how it was measured. It points out the major flaw that the study looked for best hypothesis that fits data ex post. That is looking looking for more white sand that confirms Madagascar is indeed San Diego. Phil Mickelson’s regression analysis: Mickelson thinks putting distance alone, chances of making it. Not the variances in the field, slope, weather etc,., just the distance. That is his prediction model. However the truth is unknown unless someone has looked at his data in aggregation. Causal link between stop and frisk and murder rates: Ira Glasser, ex- Executive Director of ACLU writes this letter to The Journal questioning the causal link.